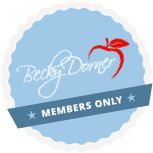 The International Dysphagia Diet Standardization Initiative: The Who, Why, What & How - (recorded) - Becky Dorner & Associates, Inc. This presentation was developed for food and nutrition professionals and presented by a Speech-Language Pathologist who is board certified in swallowing and swallowing disorders, and is an IDDSI champion. "The Obesity Challenge manual was instrumental in providing our facility with a solid framework for restructuring our Bariatric Weight Loss Program in an effort to better meet our participant needs as well as the requirements of our state surveyors. It contains a wealth of information based on the latest research findings in Bariatric Practice and can be utilized as a "how-to" guideline when establishing a structured Bariatric program in a health care facility. The nutrition care tools provided within the contents of this manual are excellent, user-friendly and comprehensive and will save countless hours in program development and operation. We would highly recommend this manual to any practitioner struggling with meeting the nutrition care needs of this challenging population. Kudos to Becky and her group for their exceptional work in helping to establish Bariatric nutrition care standards!" Advocate for the International Dysphagia Diet Standardisation Initiative (IDDSI), by understanding IDDSI and why there is a global effort to standardize diets for people who have difficulty swallowing (dysphagia). Classify foods and liquids according to the IDDSI Framework and Descriptors. Demonstrate effective testing and analysis of foods and liquids, according to the IDDSI Framework Testing Methods. Create individual and facility “to-do” lists in order to further the understanding of and connection to IDDSI. Gain resources to create a plan to move from IDDSI awareness, to preparation and eventually to adoption. 6.2.4 Disseminates research or performance improvement outcomes to advance knowledge, change practice and enhance effectiveness of services. Additional CDR Learning Need Codes and Performance Indicators may also apply. Karen Sheffler, MS, CCC-SLP, BCS-S, has over 20 years of experience as a medical speech-language pathologist, specializing indysphagia since 1995, when she graduated from the University of Wisconsin-Madison. She obtained her Board Certification as a Swallowing Specialist (BCS-S) in 2012. In 2014, she started SwallowStudy.com, which is a dysphagia resource for patients and professionals. Karen has worked in acute care, rehabilitation centers, skilled nursing facilities, and in home health care. She currently works at two different hospitals in the Boston area, owns her own dysphagia consulting business, performs peer reviews and presentations, and provides dysphagia expert services to companies and law firms. Believing in constant continuing education, she has been awarded the ASHA Award for Continuing Education 5 times. She is a member of ASHA’s Special Interest Group 13, the National Foundation of Swallowing Disorders (NFOSD), and the Dysphagia Research Society (where she is a member of the Website, Communications and Public Relations Committee).